A letter from our September edition. In DSM-5 autism spectrum disorder (ASD) is defined by persistent deficits in social communication, interaction and imagination, associated with restricted, repetitive patterns of behaviour, interests and activities and potential sensory difficulties. In the UK, NICE Quality Standards target a three months waiting time between assessment referral and first appointment. However, on average, adults wait two years. Termed the ‘diagnosis crisis’, this has been experienced by many within the community. England’s community adult ASD prevalence is estimated at 0.98 per cent (Brugha et al., 2011) compared to 2.3 per cent within secure psychiatric settings (Scragg & Shah, 1994), suggesting ASD is potentially going unrecognised elsewhere within forensic settings, which may be due to a number of factors. 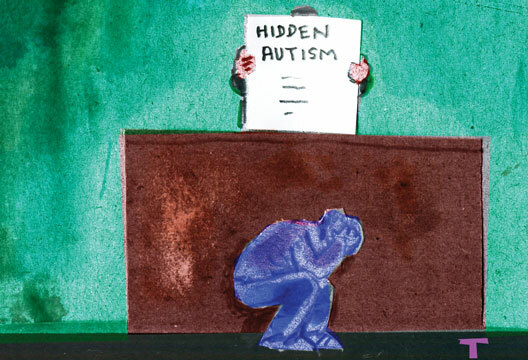 ASDs may be masked – relatively rule-adherent behaviour creating minimal management issues; missed – poor staff understanding of ASD presentations resulting from inadequate training; or overlooked – even if suspected, from lack of awareness of the benefits associated with referral to specialist services (and even the process), or owing to unavailability of resources. Recent research has suggested individuals with ASD within prison often have more traumatic experiences because their additional needs are not recognised and subsequently met (see tinyurl.com/ho4d8ls). Within forensic settings it may seem if a diagnosis is reached, a person’s pathway may not be altered; so ‘What’s the point?’ (a question heard asked in clinical practice). However, receiving a diagnosis can help provide explanation for difficulties experienced, as well as contributing towards the formulation of risk issues, and reasons they have come to forensic services’ attention. On the basis that understanding risk is the key to reduction and management, and the fact that forensic patients deserve the same levels of care as other non-forensic individuals, there is a clear ‘point’ to assessment in forensic settings. Despite this, resources for assessment are limited. This article calls for more attention and investment to move towards this sub-population of offenders. Even if forensic healthcare professionals are alerted to a potential case, diagnosis generally requires detailed neurodevelopmental history to inform NICE-recommended clinical assessment. This detail is often difficult to obtain for forensic populations. Additionally, instruments are often lengthy and costly, limiting their use in these financially austere times. Shorter (cheaper) screening tools have been trialled to overcome these issues regarding other mental health disorders; however, despite preliminary studies, no such instruments are employed systematically within forensic services regarding ASD. Whilst general mental health awareness has had a recent focus for forensic staff, there appears to be need for specialist ASD awareness training and clarity regarding the pathway for screening, assessment and referral. Despite governmental publications promoting appropriate assessment and support for those with ASD, more needs to be done regarding forensic populations. Although the update Think Autism (tinyurl.com/z9c3x9w) contains a chapter focusing upon ASDs within the criminal justice system (a development from the past lack of focus) overall, only five out of 33 action points focus upon this population. Accurate recognition is a starting point to understanding potential links with offending behaviour, vulnerability to victimisation, and subsequently the ability to provide effective support and treatment. However, services are limited. There needs to be increased awareness, specialised support and interventions in place; in forensic settings and the community in general. However, without accurate identification and recognition, support that is available (charities, prison champions, specialist forensic teams) may be inaccessible. Appropriate identification is the first (and vital) step. Lack of recognition limits opportunity for: accurate offence analysis and subsequent risk-management plan development; awareness regarding increased vulnerability (bullying/exploitation) or heightened risk of psychiatric comorbidity; and mismanagement of potentially challenging behaviour as a result of social and communication skill deficits. Clearly all of these issues are problematic in themselves and costly; inadequate risk management and subsequent reoffending costs more than assessment and support, both financially and regarding public safety. The government’s commitment to support individuals with ASD to lead ‘fulfilling and rewarding lives’ should not exclude the incarcerated. The hidden population within forensic services deserve our attention; for their care, and for the safety of potential future victims. In summary, we suggest accurate identification could facilitate effective assessment and management of challenging presentations, the risk of developing additional mental health issues, specialist support and service needs, and risk of future offending. In order to provide intervention, focus needs to be placed on assessment within forensic settings, we call for greater investment specifically in this area. ASD should not be invisible within forensic services, and we hope to promote debate in this area. Brugha, T., McManus, S., Bankart, J. et al. (2011). Epidemiology of autism spectrum disorders in adults in the community in England. Archives of General Psychiatry, 68, 459–466. Scragg P. & Shah, A. (1994). Prevalence of Asperger’s syndrome in a secure hospital. British Journal of Psychiatry, 165, 679–682.